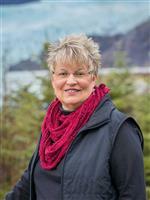 Depending on what it is that you want in Gustavus AK real estate, I will be able to help you narrow down the listings for your new home. Once I provide you with the listings of Gustavus AK homes and lots for sale, you will be able to take your time looking through all of the Gustavus real estate and choosing the perfect place to call your home or build your home. Spend an adequate amount of time exploring Gustavus homes or properties to see which one is going to meet your needs accordingly. Gustavus is considered the gateway to Glacier Bay National Park and is located 48 air miles west of Juneau. Gustavus spreads across a large plain created by receding glaciers and is completely surrounded by the distant mountains and icefields of Glacier Bay National Park on three sides and the ocean on the fourth. The surrounding mountains make a wonderful backdrop to the surprisingly flat terrain. With a year-round population of approximately 450 people, Gustavus is a small Alaskan town surrounded by breathtaking scenery and extensive wilderness. In Gustavus you will NOT find a movie theater, a shopping mall, a stoplight, a McDonald's or a bowling alley. In Gustavus you WILL find quaint family run B&Bs, lodges, a small store, post office, school, library, public dock, a golf course, a few restaurants, an airstrip with service by Alaska Airlines, boat charters, whale watching, great fishing and friendly Alaskan people. A number of Gustavus properties and homes are available from which you can choose, so take the time to explore the various opportunities that await you. If this is the lifestyle you are looking for, it won't be long before you are on the path to becoming a Gustavus home owner.